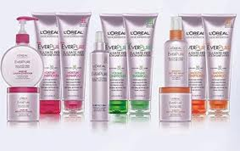 Free L’oreal Hair Care Products at Rite Aid! Rite Aid is having a sale right now when you buy 5 L’oreal Hair Care Products,combine the Rite Aid deal with Manufacturer Coupon to crab this all 5 items for Free! Dr Pepper Only $1.75 at Rite Aid! La Victoria Soft Taco Tortillas Only $0.78 at Rite Aid!